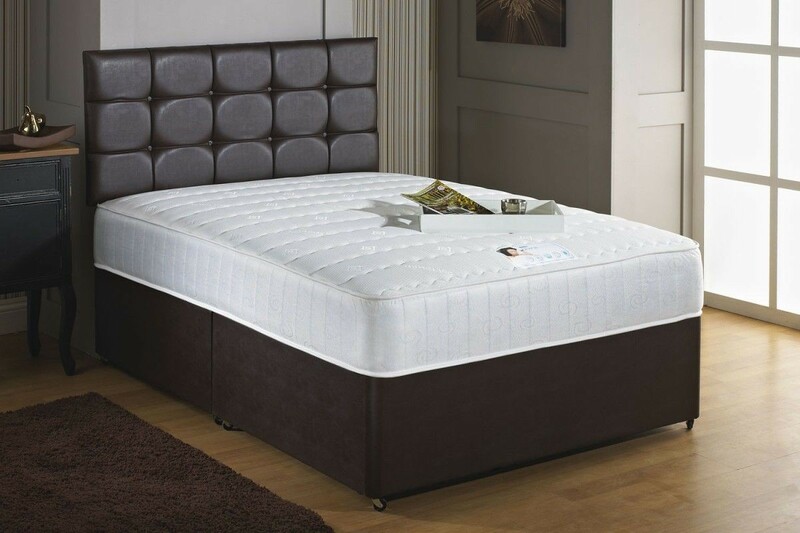 It has a comfort sleeping range 25cm Deep Mattress which encapsulates the best of traditional manufacture and modern technology. It is constructed around a 1000 count pocket spring unit, (in a 5ft King Size Mattress), with ultra-supportive layers of 5cm high density visco elastic memory foam to distribute pressure and to provide ultimate comfort and support. The mattress is finished with gold air ventilators. 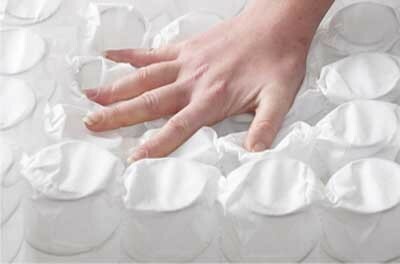 It is upholstered in luxury White Quilted Damask fabric. The Base is finished with the same fabric with brass linking bars and comes in one section with castors and attachments for headboard.